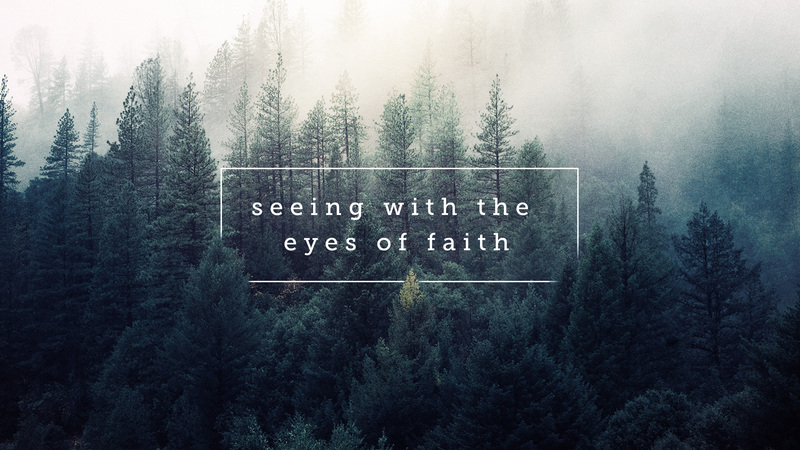 Home / "Seeing the Works of God"
In an exquisitely beautiful sermon called “The Seeing Heart”, Frederick Buechner writes: “How can we believe that Christ is alive when we haven't seen him? I believe the sun rose this morning because there it is in the sky above us. I believe you and I are alive because here we are looking at each other. But when it comes to this central proclamation and holiest mystery of Christian faith that after his death Jesus returned to life and is alive to this day, how can we believe that? There are lots of other things we can believe about (Jesus). We can believe that of all good people, he was the goodest. We can believe that no one else in history embodied the love of God so movingly and unforgettably. We can believe that although down through the centuries endless follies and barbarities have been committed in his name, the beauty and holiness of his life remain somehow untouched, and that of all the great saints the world has produced, he remains the loveliest and the one most worth following. But when Thomas says that unless he sees him with his own eyes, he will not believe that he is actually alive the way you and I are actually alive, I think we all know in our hearts what he is talking about. What we have to remember is that our eyes are not all we have for seeing with, maybe not even the best we have. Our eyes tell us that the mountains are green in summer and in autumn the colors of flame. They tell us that the nose of the little girl is freckled, that her hair usually needs combing.... They tell us that the photographs of Abraham Lincoln taken a few days before his death show a man who at the age of fifty-six looked as old as time. Our eyes tell us that- the small country church down the road needs a new coat of paint and that the stout lady who plays the pump organ looks a little like W. C. Fields and that the pews are rarely more than about a quarter filled on any given Sunday. But all these things are only facts because facts are all the eye can see. Eyes cannot see truth. The truth about the mountains is their great beauty. The truth about the child is that she is so precious that without a moment's hesitation we would give our lives to save her life if that should somehow ever become necessary. The truth about Abraham Lincoln is a humanness so rich and deep that it's hard to stand in his memorial in Washington without tears coming to our eyes, and the truth about the shabby little church is that for reasons known only to God it is full of holiness. It is not with the eyes of the head that we see truths like that, but with the eyes of the heart.” So says the wisdom of Frederick Buechner. So, the question for us today is this: What does it mean to see (to look at the world) with Easter eyes? That’s a rather tall order, because a week following our beautiful Easter services at St. Paul’s, we’re back to our lives as usual—we turn on the news and are confronted with stories of wars and uprisings, shootings at u-tube offices in California, horrific car wrecks in Canada and Germany, the melting of glaciers, the national guard being sent to the border, the threat of superbugs infiltrating hospitals. And then there are our personal griefs and burdens: family and health problems, financial worries, professional struggles. How easy it is to become overwhelmed and afraid. How do we look past this to perceive the glory God holds out to us? The great preacher, William Sloane Coffin once said: “As I see it, the primary religious task these days is to try to think straight…You can’t think straight with a heart full of fear, for fear seeks safety, not truth. If your heart’s a stone, you can’t have decent thoughts—either about personal relations or about international ones. A heart full of love, on the other hand, has a limbering effect on the mind. (A Passion for the Possible). Looking beyond one’s eyes to the heart is the task of being Easter People. At our 10:00 a.m. service today we have the privilege of welcoming a new Christian into our midst, Samuel Osyf. Samuel is young—just a few months old. His eyes haven’t beheld much yet in his life. Along with his parents and those who love him, we are to join in helping Samuel to see the world with eyes of faith. This, mind you, doesn’t mean that Samuel won’t have moments of doubt (doubt, you should be aware, is not the enemy of faith. Far from it. Apathy is the real enemy of faith). Instead, our task is to help Samuel to look on the world to behold this place where he is to begin to make his life with a sense of awe, curiosity and wonder. In the words of one of the baptismal prayers we ask God to gift Samuel with a spirit to “know and to love God, and the gift of joy and wonder in all of the Lord’s works.” We are to help this child to see God’s people, as unique individuals, made in the image of the Divine, endued with the imprint of God, to look upon the world and behold a garden in which we labor, till and tend. We are to help this child see the mystery of God in the everyday—and in so doing, we lift, not only Samuel, but also ourselves, from the mundane to the extraordinary; from the world where only the limits of what our eyes see is possible—to one in which the extraordinary and wondrous proclamations of God are true and indelible; written not only in the wounds of our Savior; but also in the leaves of the trees and the mountains of the earth; and in the hope of souls blessed with the promise of eternal life. In the name of the risen Christ. Alleluia. Amen.